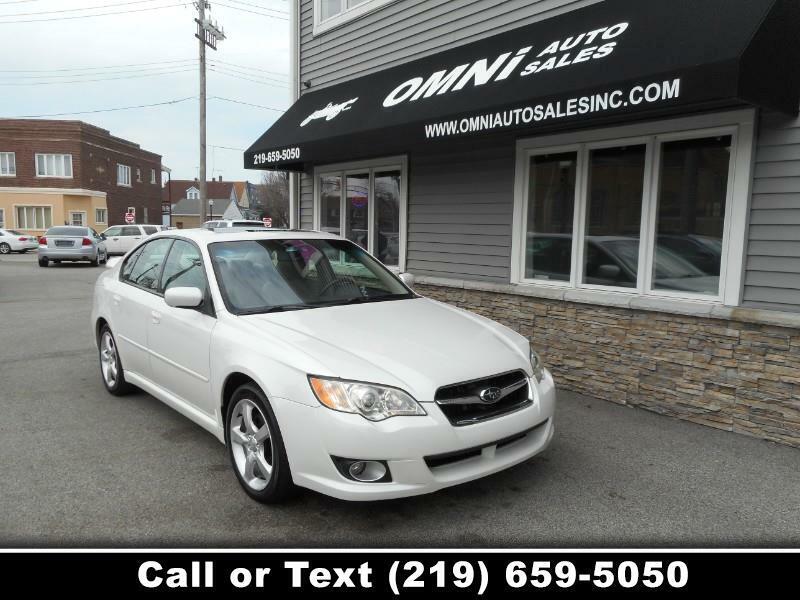 Meet our fabulous 2009 Subaru Legacy 2.5i Limited AWD Sedan! Powered by a 2.5 Liter 4 Cylinder generating 170hp while mated to a 4 Speed Automatic transmission. This All Wheel Drive combination offers a confident sure-footed ride as it secures nearly 26mpg on the open road. The stylish exterior shows off a chrome grille, grea looking privacy glass, alloy wheels, and fog lamps. The Limited trimmed cabin pampers you with an interior that is elegant, spacious and above all, functional. You will enjoy heated leather front seats, a huge sunroof, a premium Harmon/Kardon sound system, audio and cruise controls on the steering wheel, full power accessories, rich woodgrain accents and more. For added peace of mind, the safety list includes ABS, 4-wheel disc brakes, an array of airbags, and tire pressure monitoring. Our Subaru Legacy 2.5i Limited checks all the must-have boxes! Print this page and call us Now...We Know You Will Enjoy Your Test Drive Towards Ownership!